We took advantage of the sunny weather over the long weekend by investigating a new dog park. 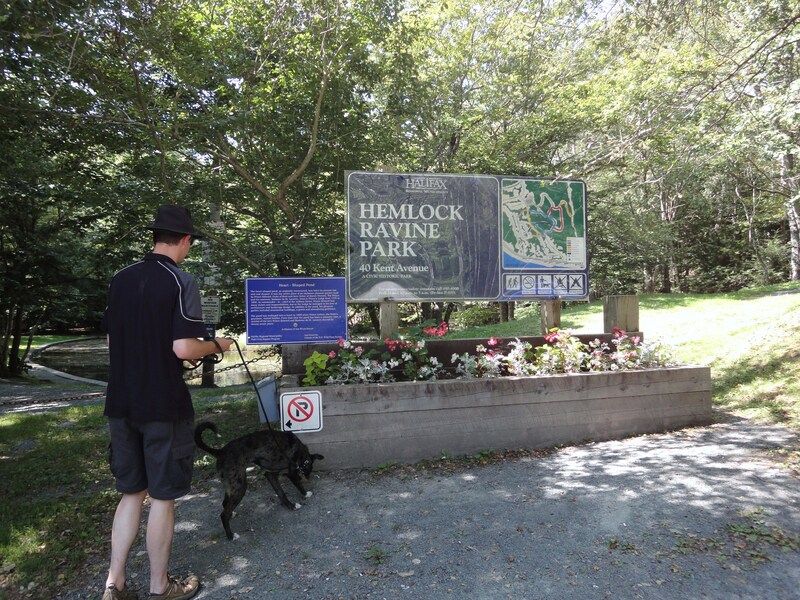 Honestly, I am surprised we haven’t visited Hemlock Ravine sooner as it encompasses two of my nerdiest loves: dogs and history. The area was originally the home of Queen Victoria’s father, Prince Edward, while he was commander-in-chief of British Military Forces and staying in Canada. A heart-shaped pond was constructed by the entrance in homage to the love shared between Edward and his mistress, Madame de St. Laurent. Shiva seemed more interested in the bugs floating on top of the water than romance. 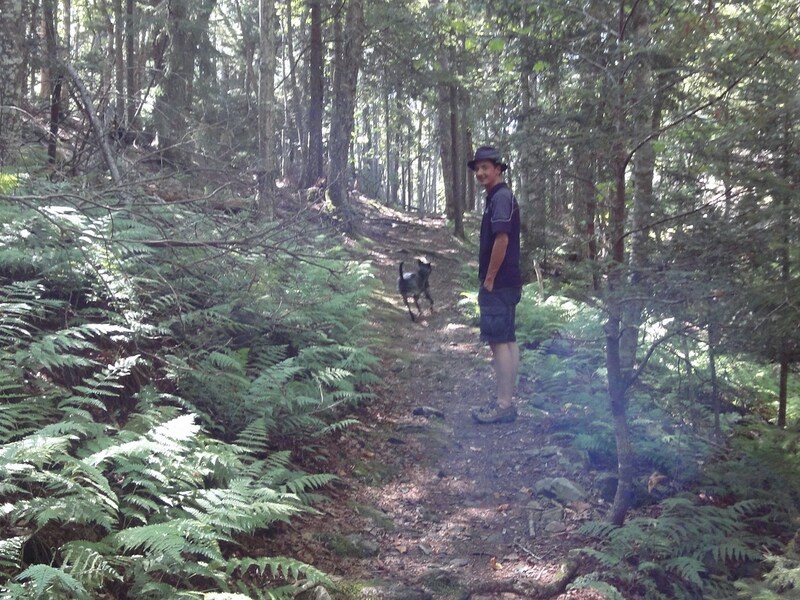 While the park isn’t very large, it does feature many different looping trails, including an off-leash section. Given that it wasn’t very busy yesterday, we broke the rules and let Shiva run leash-less for the majority of the walk. I figure as long as she leaves people alone, no one will get upset. It’s not something we could have done a year ago. I can’t get over how lucky we are to have so many great parks in our city. In general Halifax isn’t overly dog-friendly. I can’t think of any restaurants or stores that openly welcome dogs. But the city councillors do seem to recognize the need for park space. 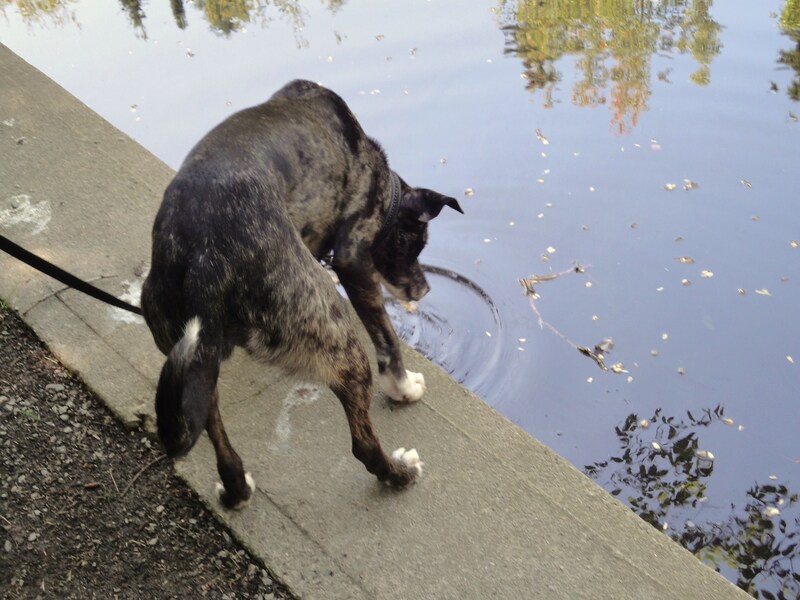 As long as dog owners continue to be responsible, hopefully the current off-leash parks will remain and even expand. Just look at this happy face. Who could deny Shiva her fun? What a great park, and what a happy Shiva girl! I thought so too! It wasn’t as big as some of them, and it didn’t have a dog beach, but it was quite lovely! I cannot imagine a time when we can let Our Best Friend go off-leash anywhere but a fenced-in park. He will take off through the woods after a squirrel and that will be the END of him. Our city seems to be decreasing the number of previously dog-friendly places… something I’ll have to blog about in the future. You will definitely have to blog about that. That troubles me and I hope it’s not a trend that spreads to other cities. I still haven’t seen “The Young Victoria” yet! It pains me to admit. I was a history major in university and I especially love female monarchs. Was it excellent? Do I need to rent it asap? There was a gross historical inaccuracy at the end which miffed The Spouse– he thinks you don’t need fiction to add to the drama of history, and I tend to agree. Emily Blunt was amazing, as were the costumes. Definitely put it on your list– but no huge rush. 🙂 And when you *do* see it, HISTORY MAJOR, please e-mail and explain to me why the ladies-in-waiting were really that big a deal. Do you ever look back in amazement that you can trust Shiva off leash? Many dogs never get to that point–in our house, prior to Honey only Agatha did. Are you sure dogs aren’t nerdy? I’ve gotten some weird looks lately when I forget that not everyone is as obsessed as I am. My social circle is pretty much dogs dogs dogs all the time dogs so it’s hard for me to tell. What great progress Shiva has made, you should pat yourself on the back! It looks like a nice park, I wish we had more barkparks around here! I wish you did too! A city cannot have too many. What a beautiful park! And what a happy dog! I feel so grateful for enlightened city governments that realize the need for off-leash spaces. I think we humans benefit from the joy of watching our furry people run freely as much as they do from the exercise. That is so true. 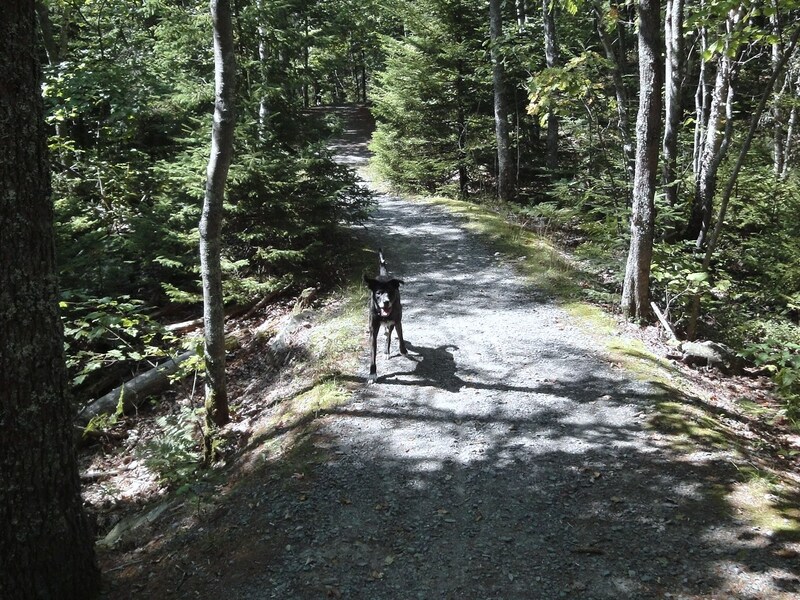 Whenever I think of my happy place, I imagine myself in a forest with Shiva running off leash beside me. We are both happiest there. Looks like a great day for both you and Shiva. In our travels this summer we found one truly dog friendly city. Seaside Oregon. In the downtown area there are water dishes outside just about every other store – so the dogs can have a drink. Most of the stores (except those selling food) will let you bring your dog in. Some say you have to pack them in the store – others let you in with the dog on a leash. Several restaurants with “dog tables” – outside. Miles of beach where dogs are allowed to be off the leash – providing you can control them. Somewhere we will visit again. Looks like a great place to walk! 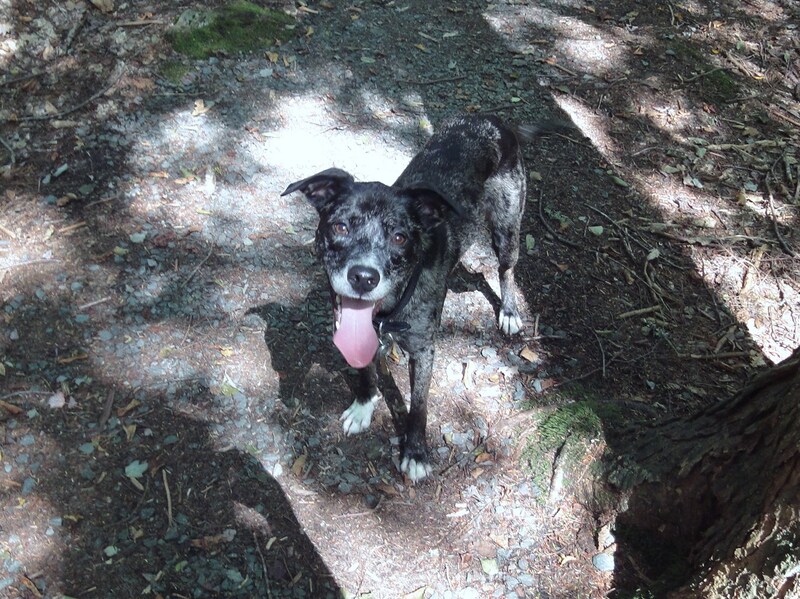 The trails look very similar to the trails here in Oregon – Cali loves hiking in the woods too 🙂 Love the last picture of Shiva!! What a fab place. You really are lucky to have such places. Love the look on Shiva’s face. 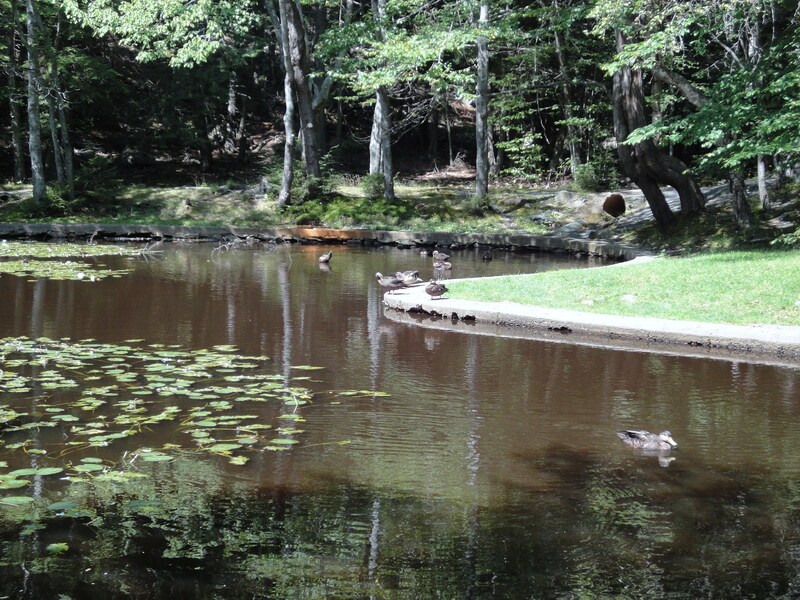 How cool is that heart-shaped pond? We’re excited to see more of your dog-friendly city! I thought it was really cool as well! There are so many historical monuments like that in unpredictable places. It’s one of the reasons I love Halifax so much. What a cool park! Why on earth would there be a park for a prince and his mistress, though? I don’t know, I guess I figured that would be a thing that would be kept secret! 😛 I do love history, though, and dogs, so if that makes me a nerd, so be it! Sitting at a computer and writing about dogs is nerdy, however. Dogs (all pets) are cool. And fyi– dogs are not nerdy.